Food served Mon–Fri 8.30am–3pm; Sat/Sun 9am–4pm. The arrival of Bross Bagels on Leith Walk in June 2018 cemented their reputation as one of Edinburgh’s most talked about lunch spots – and rightly so. Hot bagels, a unique feature of the menu at this branch, include dynamic specials like the spicy Scot; haggis, chorizo, smoked applewood cheddar cheese and chili mayo. It’s a surprisingly intricate combination where heat and depth of flavour complement each other rather than wrestling for attention. The hungry vegan is a masterclass in jazzing up a classic, with chilli oil and rock salt bringing a touch of elegance to avocado and tomato. 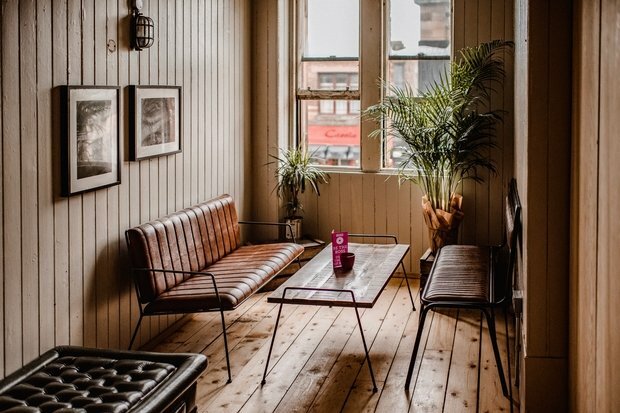 The seating area, where exposed brick and corrugated iron meets neon signs and comfy sofas, feels cool without trying too hard, creating a relaxed atmosphere.